How many people can honestly say their profession improves the way society consumes information and performs daily tasks? As Interaction designers, we’re lucky enough to do this everyday.  Our job is to make intuitive software and apps and efficiently relay information to the user. It is a new form of problem solving and in a state of constant improvement. We are literally shaping the tools of the future. In December of 2012, Microsoft released a short documentary titled Connecting, which features several key players in the tech industry discussing how interaction designers are changing and improving the way people create, share and consume information. Many user-interfaces (UIs) mimic material from the physical world by incorporating tactile textures and 3D buttons, or “chrome” as Blaise Agüera y Arcas, software architect and designer at Google, calls it. While this approach is familiar and conveys some functionality, it also distracts from the content and is inefficient for digital products. The possibilities of improving the task’s solution become limited to what is possible in the physical world, resulting in a caricature rather than something new and evolved. Building effective digital tools requires harnessing the creative spirit ingrained in our nature and applying it to a format that has only been around for a fraction of our existence. Computers, smart phones, tablets, etc. are the most versatile devices to date, and have enabled people to create products made merely of ideas and code. The fluidity of the medium allows for an infinite amount of possibilities. We are no longer limited to the building materials of the physical world, so why make user-interfaces that imitate them? The documentary illustrates this concept with turntables. 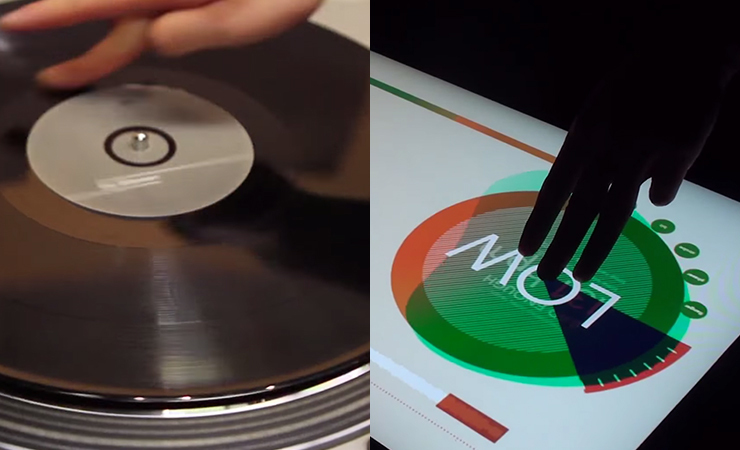 The hardware is an effective tool and has been used by DJs since the late 70s, but by breaking out of the needle-on-a-record format the interaction designer was able to create an evolved solution that better suits the device. The functions feel natural and the user receives more feedback than would have been possible if the UI was a pure recreation of its real-world counterpart. Flat UI design is a popular, current example of this idea. On the web, simple shapes result in faster load time, contributing to a better overall user experience. Flat shapes also make it easier for the UI to grow and shrink as necessary, optimizing the design for a variety of screen sizes. This is designing digital products to look, feel, and function like a digital product. Giving us a glimpse into the future are devices like Google Glass, with augmented reality, XBOX Kinetics with gesture interfaces and SIRI with voice control. They all have the common theme of freeing up the hands, making interactions more natural and integrated with the world around us. As far as implantation, more and more inanimate objects will become interconnected. What if your kitchen cabinets could communicate with food containers and collect inventory? Or if your bathroom mirror doubled as an interface so you could check your e-mail or calendar while brushing your teeth in the morning? A screenshot from Made of Glass, a concept video produced by Corning, Inc.
As the technology continues to progress and become integrated into new places, interaction designers will continue to play a key role in establishing how these devices will interact with people and each other. More than ever, design is about creating a great experience and not just pretty pixels. This is something we keep in mind with all our projects at Devbridge. Our design team keeps a finger on the pulse of emerging interaction design patterns and separates the useful innovations from the trendy fads to better serve our clients. Since there is no known formula for creating great UI/UX, we have built our process around prototyping and testing. This allows us to use the latest methods, while also making sure our products make sense to the client and their users.